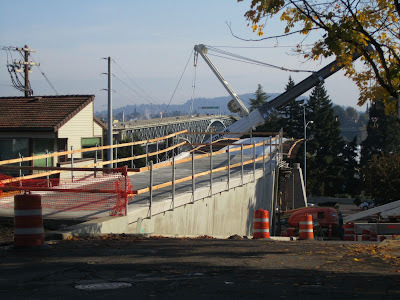 "Lair Hill and South Waterfront residents can expect night time noise including noise from trucks and cranes, lights powered by generators, and high powered drills. 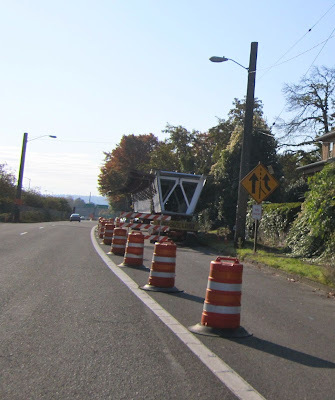 The most noise is expected between 11:00 pm and 3:00 am when crews will bolt the bridge spans together." 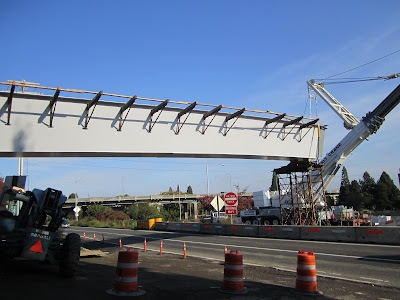 Actually, this is exciting - the bridge span placement has begun. The first segment was installed on Friday night (Nov. 4). If you are interested in further details, this flyer was distributed to nearby residents with additional information. They haven't given specific dates for the next installation, but it should be within the next few weeks. 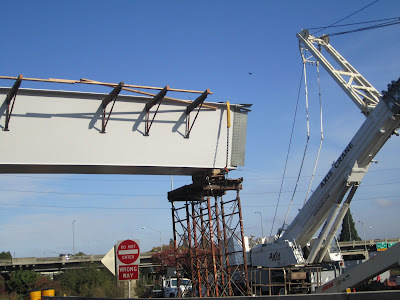 "The remaining bridge spans will be installed in the weeks that follow, as more steel spans are prepared, painted, and delivered to the site. The dates of those installations will be announced once they are scheduled. All of the bridge spans should be in place by the end of November, then forming and pouring the concrete deck will start in early December." The next segment is prepped and awaiting installation. Mystery Photo Contest: Where am I? South Waterfront Craft Bazaar wants you! New Moody Ave is open!